Steven Gerst shares about the latest breakthroughs in medical technology and the healthcare industry. The American healthcare industry is integrating wireless advancements in technology enabling Digital Medicine/Remote Patient Monitoring throughout the system. Digital Medicine/RPM will finally provide affordable, effective, state of the art advancements toward the "Triple Aim" - improved access/quality at significantly lower cost. Fort Lauderdale, FL, September 2, 2016	(Newswire.com) - ​​​​​Digital Healthcare/Remote Patient Monitoring (“RPM”) is making its revolutionary debut. Even in its early developmental stages, Digital Healthcare/RPM provides medical providers with the ability to monitor patients virtually (24/7), make diagnoses, offer treatment, and conduct follow-up monitoring at a fraction of the current cost of traditional healthcare practices and delivery methods. Preventative medicine has, therefore, never been more widely accessible as through these new connected digital health and Remote Patient Monitoring platforms. Expansion of Digital Medicine/RPM allows significantly more efficient access to more patient populations instantly. With Digital Medicine and Remote Patient Monitoring, these patients can now be directly monitored in their homes to either prevent exacerbation of their chronic conditions or prevent medically unnecessary and costly 30–day readmissions. Provider reimbursement for the new service can be billed directly through the EMR. Wirelessly connected blood pressure cuffs, EKG sensors, electronic weight scales, glucometers, spirometers and other devices are changing the dynamic of virtual care feeding real-time, actionable patient data directly to the providers with system alerts specific to each patient based on their condition and medications. Hospitals are developing case management nursing teams to telephonically respond immediately to changes in patient vital signs and weight taken in the home or workplace, avoiding costly medically unnecessary 30 day readmissions and millions of dollars in penalties while improving patient care. One hospital system in Minnesota has demonstrated reductions in hospital readmissions for Congestive Heart Failure from the national average of 24.8%6 to less than 2% by simply connecting an electronic weight scale remotely into the hospital’s EMR system (7). “An infinitely large savings” from Behavior Modification regarding obesity management, smoking cessation and overall lifestyle improvements. The report estimates commercially available opportunities to provide these services and technologies at approximately $36 billion per year. Dr. Steven Gerst: Efficacy Needed to Overcome Hurdles for Digital Medicine/RPM Adoption. Chronic disease accounts for 1/3rd of total US healthcare expenditures – over $1 Trillion annually10. Heart conditions, COPD, asthma, and diabetes constitute the largest cost component. These conditions also have the greatest potential using Digital Medicine/RPM to improve patient outcomes, lower adverse events, and reduced costs when shifting to a Value Based- Outcomes driven approach to treatment and reimbursement. Digital Medicine/RPM is a powerful enabler. These systems will serve as the information portal to data management, giving managed care the potential to lower its chronic care burden. Efficacy remains the standard by which to judge any digital health offering. With respect to digital health, “efficacy” is further defined as a user-friendly platform that collects accurate and actionable data promotes behavioral change (by both the patient and the provider in his treatment), demonstrates results, and also protects sensitive information. FDA Regulation: With over 100 digital health applications approved to date, the FDA has laid out guidelines for regulation and approval for digital health. Patient Adoption: Developers are creating seamless interfaces for users of all levels of tech competency. their healthcare offerings in some way, there are many who are still not recognizing its viability, and are waiting for better technologies. Reimbursement: Securing reimbursement is essential to the viability of digital health business models; while some argue that it is counter to the objective of connected health. Privacy: Making mobile therapies HIPAA compliant represents a tremendous challenge in wireless healthcare. Technology is now available to provide the efficacy needed to enable digital medicine through Remote patient monitoring and reimburse providers for their services. To learn more news about connected and digital healthcare, visit: www.stevenrgerst.com. Dr. Steven R. Gerst is a Managing Partner of Telemetrix Systems, LLC (steve@telemetrixsystems.com), an Entrepreneur-in-Residence at the University of Miami, Miller School of Medicine, U Innovation, Office of the Vice Provost and is on the faculty of the School of Nursing and Health Sciences where he lectures on Management Information Systems in Healthcare. Steven R. Gerst is a graduate of the Columbia University College of Physicians and Surgeons (M.D. ), Columbia College (B.A. ), Columbia School of Public Health – Health Administration (M.P.H.) and the Goizuetta School of Business at Emory University (M.B.A.). He is a Diplomat in the American College of Healthcare Executives. He is also Dean Emeritus of the Masters of Science Program in Applied Health Informatics at Bryan University (Los Angeles, Sacramento, Toronto and Phoenix) where he serves on the Board of Advisors and has taught on the faculty. 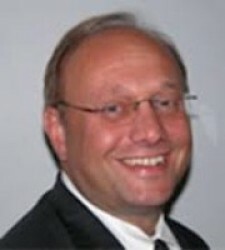 Dr. Gerst also has served as an Adjunct Professor of Biomedical Informatics at Nova Southeastern University College of Osteopathic Medicine and is a Principal in the Asclepius Life Sciences Fund, LP, a Cayman Islands activist Hedge Fund which invests private equity and venture capital in biotech and biopharmaceutical ventures (http://asclepiuslifesciences.com/). 4 Ward BW, Schiller JS, Goodman RA. Multiple chronic conditions among US adults: a 2012 update. Prev Chronic Dis. 2014;11:130389. DOI: http://dx.doi.org/10.5888/pcd11.130389. 5 Gerteis J, Izrael D, Deitz D, LeRoy L, Ricciardi R, Miller T, Basu J. Multiple Chronic Conditions Chartbook. [PDF - 10.62 MB] AHRQ Publications No, Q14-0038. Rockville, MD: Agency for Healthcare Research and Quality; 2014. ​9 Roman, DH and Conlee, KD, (2015), The Digital Revolution Comes to U.S. Healthcare, Technology, incentives align to shake up the status quo. Goldman Sachs Global Investment Research, Internet of Things, Vol. 5. (June 29, 2015.) p 4. Dr. Steven Gerst is a graduate of the Columbia University College of Physicians and Surgeons (M.D. ), Columbia College (B.A. ), Columbia School of Public Health - Health Administration (M.P.H.) and the Goizueta School of Business at Emory University. Dr. Steven R. Gerst is a leading authority in Health Informatics who has dedicated much of his career to analyzing the latest breakthroughs in medical technology and the healthcare industry. He advocates the use of Telemedicine and Remote Patient Monitoring (RPM) to accommodate the contemporary health requirements. Dr. Steven R. Gerst studies the advancements and challenges of remote patient monitoring (RPM), a revolutionary healthcare model providing medical access during an era of impending change to American health services.